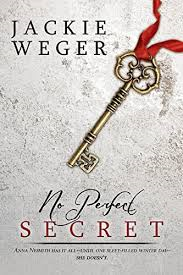 The Book Review: No Perfect Secret and No Perfect Fate by Jackie Weger Free Today in the Amazon Kinde Store - Limited Time Only! 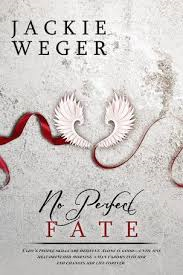 No Perfect Secret and No Perfect Fate by Jackie Weger Free Today in the Amazon Kinde Store - Limited Time Only! COMING SOON! 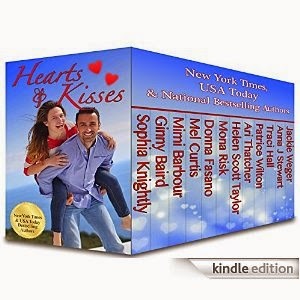 HEARTS AND KISSES VALENTINE BOX SET! PRE-ORDER NOW! - ONLY 99 CENTS IN THE AMAZON KINDLE STORE!! RELEASE DAY FEB. 10TH. Breaking the Rules by Mel Curtis, USA Today and National bestselling, award-winning author. The Gordon’s marriage has been an emotional rollercoaster, but Jack has the solution–lock them inside a safe room for a cool-down, which turns out to be hot. Julie! Wow. Thank you so much for this fabulous presentation. I may adopt you! Great post - and the blog looks amazing. I am reading No Perfect Secret right now - so good!! Very nice work, Julie. Very impressive! whoo--hooo! What a deal! I got this boxed set and now I will probably be up all night reading! Drat it. Nice site, Julie! Thanks all for stopping by and supporting Jackie's books and The Book Review! It is greatly appreciated!! Hugs to all! Nice looking site and a great selection of books. I'll be dropping by again.